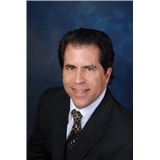 Ronald B Moss MD (Encinitas) - Book Appointment Online! Dr. Moss is a board certified Allergist and Immunologist who treats both children and adults with allergic diseases. He trained at SUNY at Stony Brook and the National Institutes of Health. He is a Diplomat of the American Board of Allergy and Immunology. He is a Fellow of the American Academy of Allergy and Immunology and the American College of Allergy. He has been practicing evidenced based medicine for over twenty five years. Dr. Moss has published over 75 articles in the medical literature and is an Assistant Professor at UCSD School of Medicine. Thoroughly recommend Dr. Moss. Extremely professional, knowledgable and a very nice man.